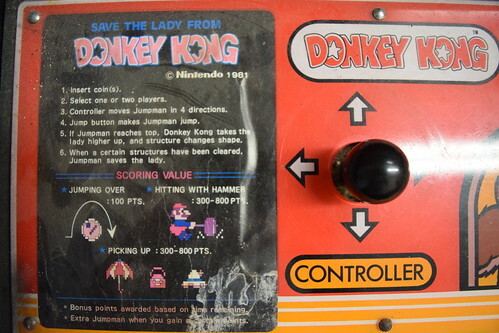 I love the look of these early Nintendo cabinets and Donkey Kong is an all time classic. I had wanted one for a while, but unfortunately they rarely come up for sale on these shores. 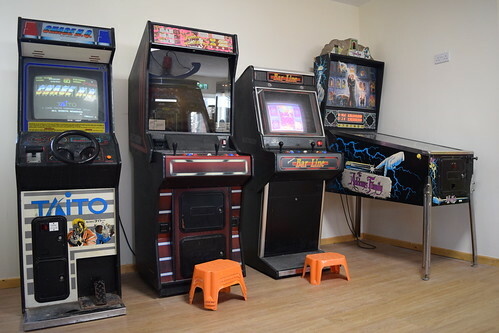 I don’t think Nintendo distributed their early cabs in Europe, and I never saw Nintendo cabs back in the day other than the PlayChoice-10 and Nintendo Super System. 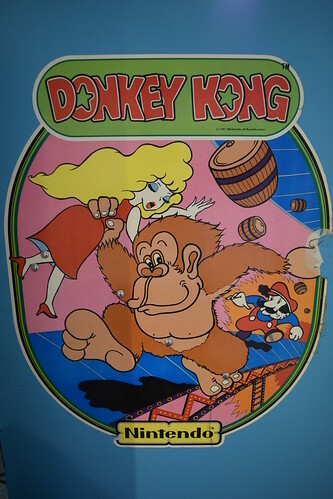 Here in the UK we had Crazy Kong, by Zaccaria as well as various bootlegs. 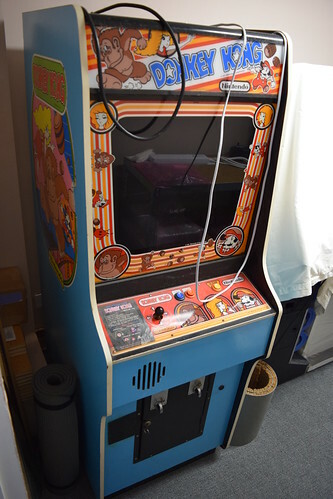 I purchased the cab from Ken / Fatsgt (Ukvac), a seller in the US, and the cab was shipped over. This is an awesome service currently being offered by James / RGP. 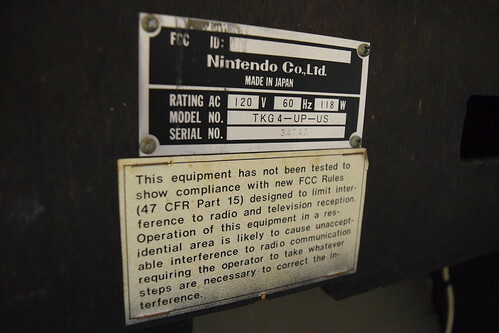 The cab was sold as not working with the monitor not powering up. I was surprised to see on the nameplate that the cabinet was made in Japan. 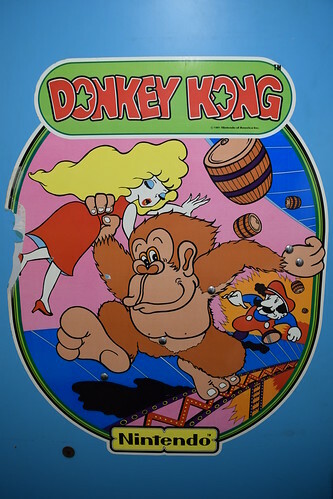 I have since learnt initially Donkey Kong was made in Japan only. 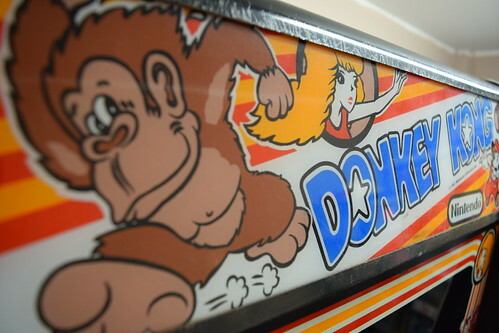 As Donkey Kong become more popular, Nintendo started making cabinets in the US to keep up with demand. 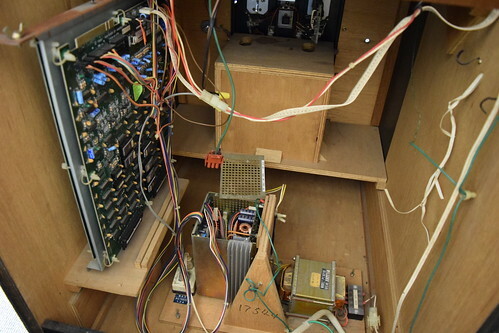 Interestingly Japanese built cabs were built with 9/16inch plywood, and the US version used 5/8inch particle board. 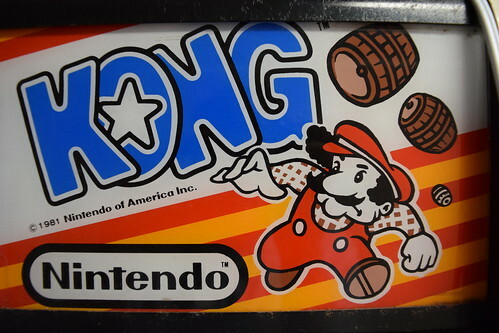 -It’s a Nintendo Donkey Kong! 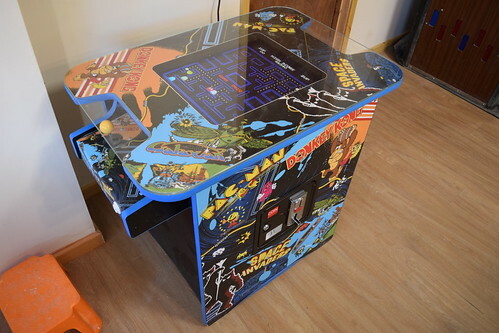 -The cab is complete and in nice original condition with a few battle scars. Just how I like my cabs! 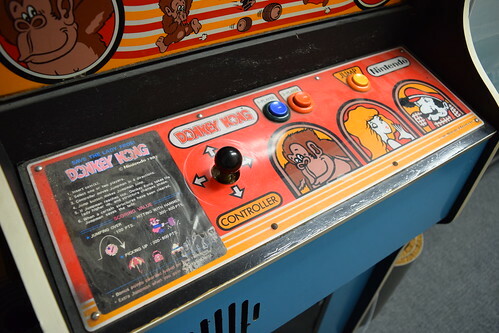 -The Donkey Kong board looks in nice, clean condition. 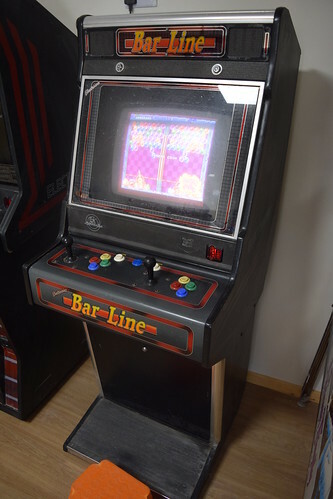 -The bezel is in great condition with few scratches. 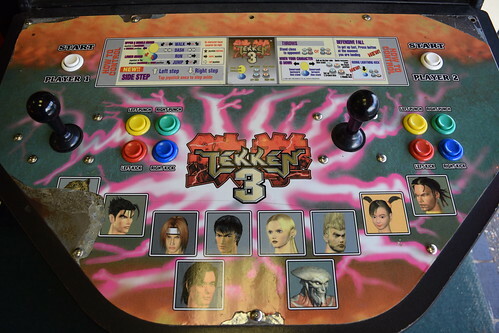 -The control panel is in good condition, just in need of a good clean and some new buttons. -The sides are in very good condition. 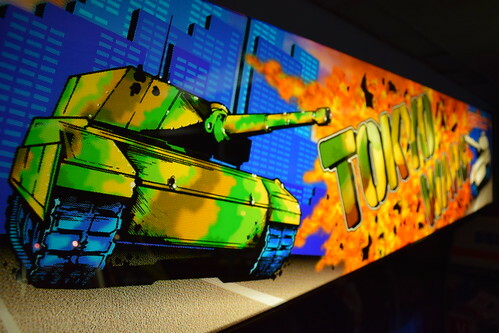 -Although the side art has some small damaged areas, it’s 90% good and I’m inclined to leave it as is. -The cab is very clean inside. -The cab came with coin door and back door key. 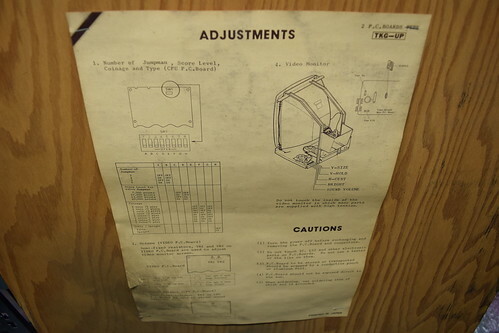 -The adjustments sheet is still present on the back door. 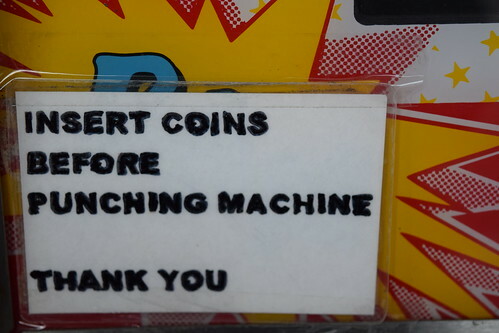 -A small section of plastic has been fitted to the front of the cab adjacent to the coin mech door, possibly to cover some damage? 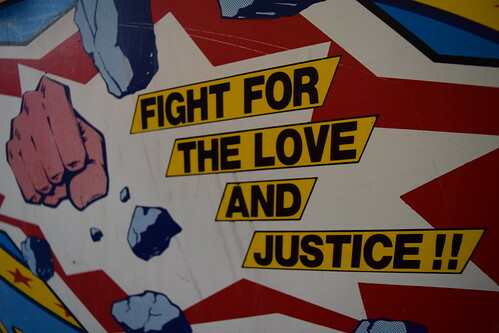 -There are some small damages to the art and a couple of scrapes on the sides. -The metal work looks a bit tired. 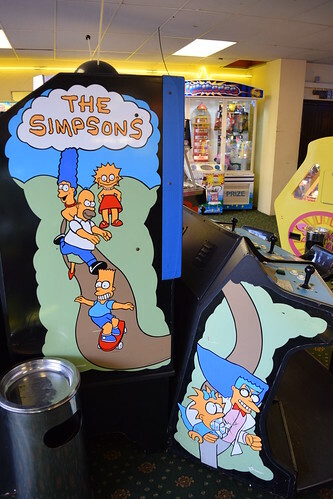 The coin door and marquee glass retainer strips will need re-painting. 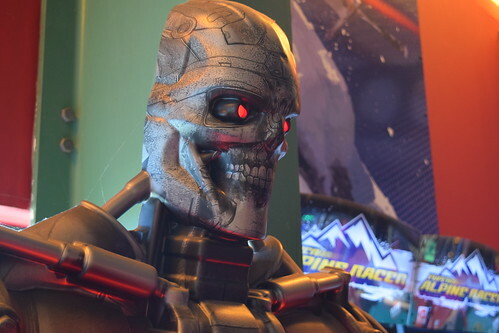 -The coin mech faces are heavily scratched. -There are some minor indentations on the T-moulding. 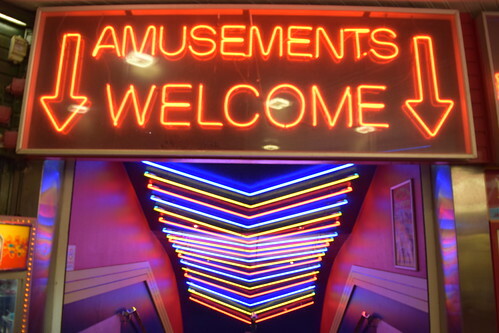 -There is an additional power cable going to the marquee light for some reason? 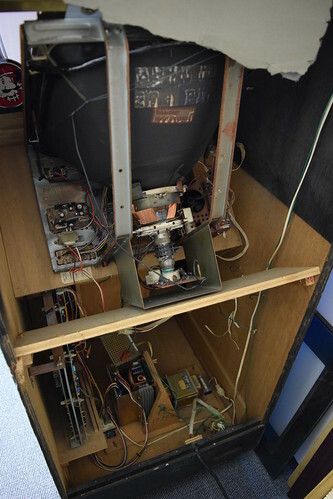 My aim with this restore is to return the cab to fully working condition, and to tidy it up whilst retaining originality as far as possible. 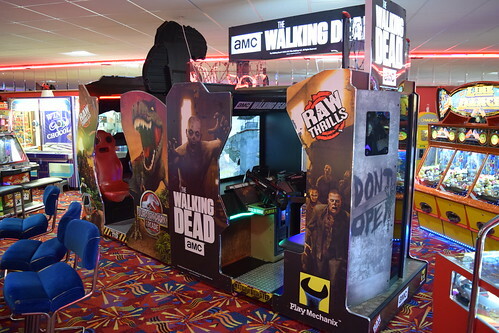 There have been a couple of new additions this year including Cruis ‘n Blast, Daytona Championship USA, Space Invaders Frenzy and The Walking Dead. 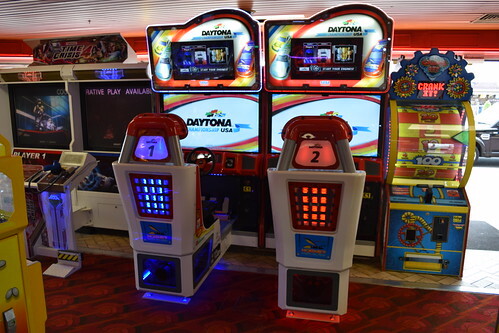 As well as the new Daytona, the original can still be found at Britannia Pier along with Sega Rally Championship. 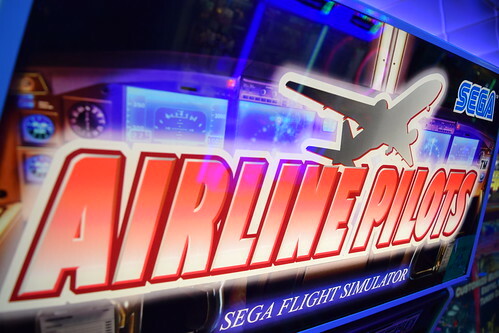 A cool game and one you don’t see very often. 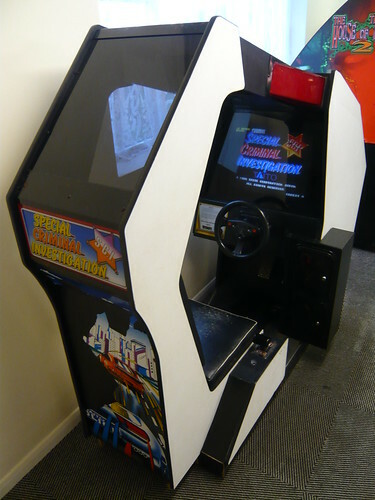 The game runs on Naomi hardware and the cabinet has throttle control, flaps and landing gear buttons. 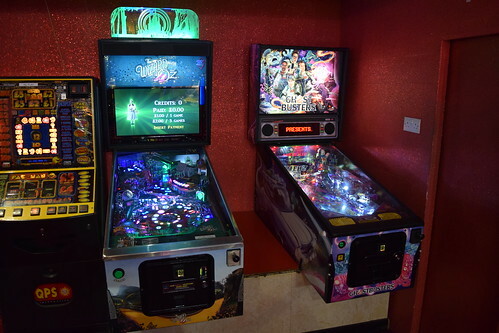 There is also a DLX triple screen cabinet. 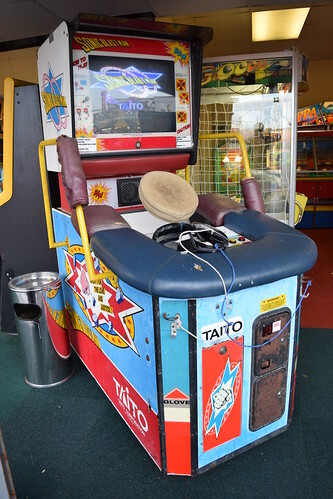 They had one on Southwold Pier, but I think it’s gone now. Here is a video of my wife taking off a Boeing 777 and flying above Tokyo. Having recently watched Alien Covenant, I was in the mood to blast some xenomorphs. 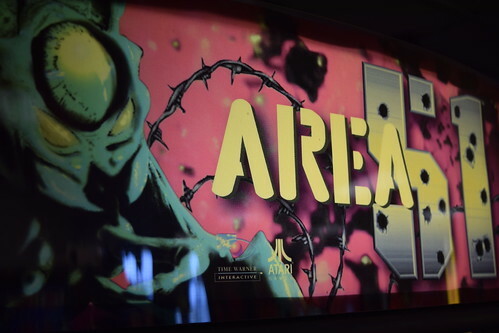 The game is good fun and really captures the feel of the Aliens movie, and the ammo counter on the guns is a nice touch. 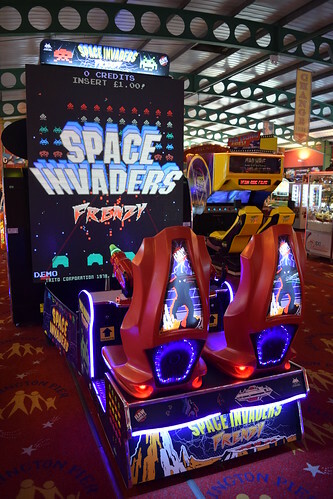 I actually prefer it to the more recent Aliens Armageddon. Some more pics taken along the seafront. 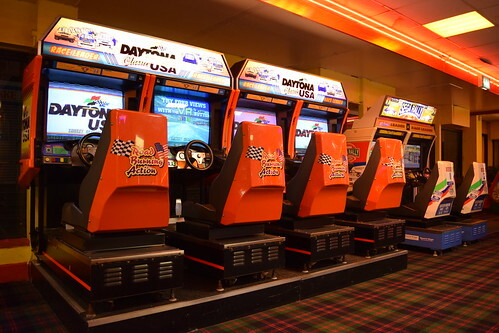 The Pleasure Beach still has the oldest games along the seafront. 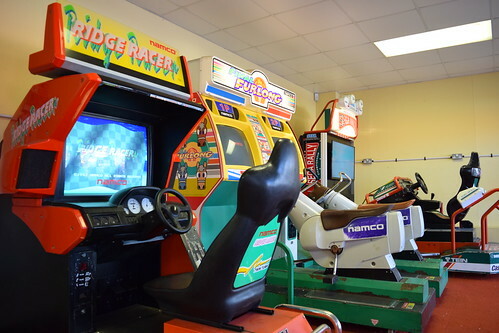 I was pleasantly surprised to find that after many years Ridge Racer has finally been fixed! 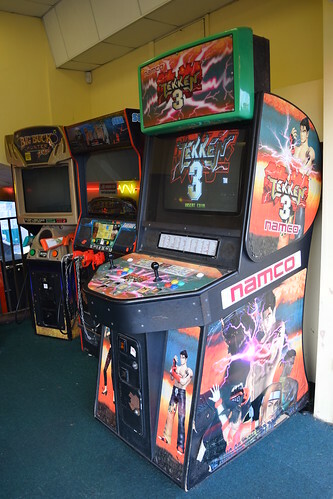 The oldest and one of the last few remaining traditional joystick games along the seafront. 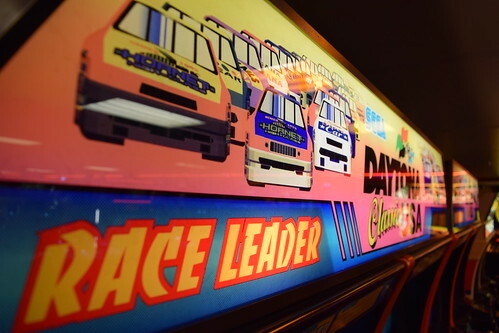 I still remember the summer when the cabinet was first sited, with a crowd of people waiting patiently for a go. The game has done well! Sonic Blast Man, another game you don’t see very often anymore. 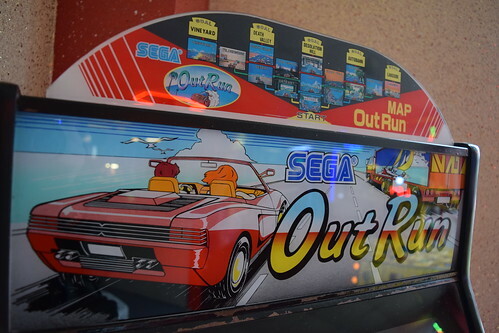 It was great to see my favourite OutRun Midi cab still going strong. 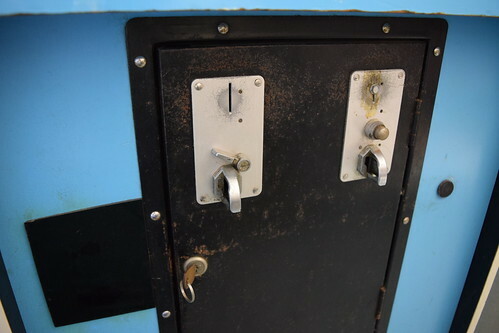 I was really pleased to see Special Criminal Investigation cockpit cabinet still up and running. I had a few credits and the game was fully working and played well. I didn’t really notice before is how good the sound is on the cockpit version with the speaker positioned above the players head. Here is a video of the game. 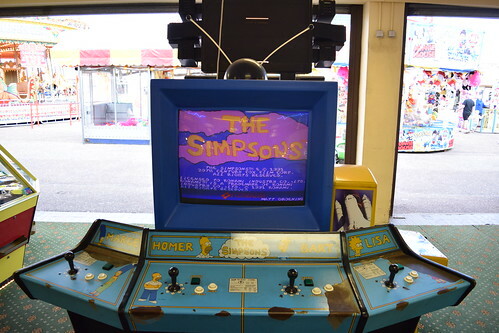 Sadly all the games were out of order except for The Simpsons upright, which has had a pretty poor LCD conversion. I really hope S.C.I. doesn’t suffer the same fate. The venue has been refurbished since my last visit. 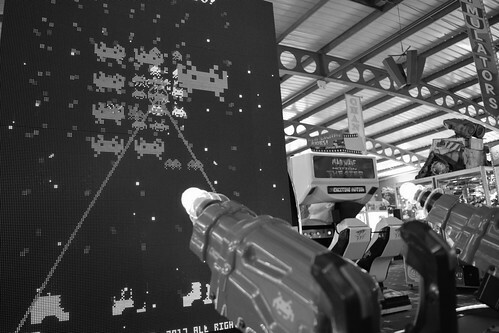 Generally refurbishment doesn’t bode well for older games, but fortunately my concerns were unfounded with only Silent Scope EX disappearing from the line-up. It was great to see my old favourite Chase H.Q. still up and running. 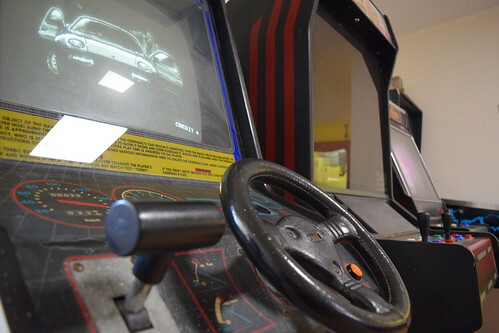 Unfortunately there were some graphical glitches, particularly round the black Porsche, but the game was still playable. The Electrocoin Bar Line wasn’t working on my last visit, but has now been repaired. 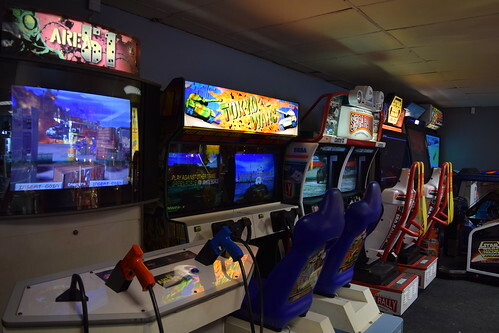 The cab had a nice selection of Neo Geo MVS titles, including Aero Fighters 2, League Bowling, Puzzle Bobble, Shock Troopers, Tecmo World Soccer ’96 and Top Player’s Golf. 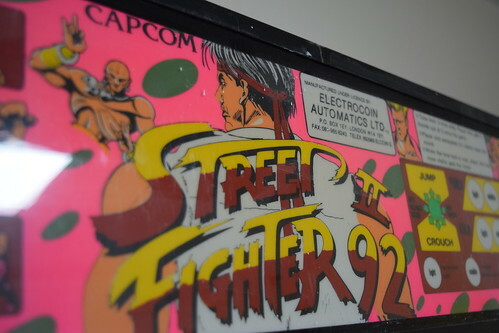 Unfortunately Street Fighter II’ was out of order. 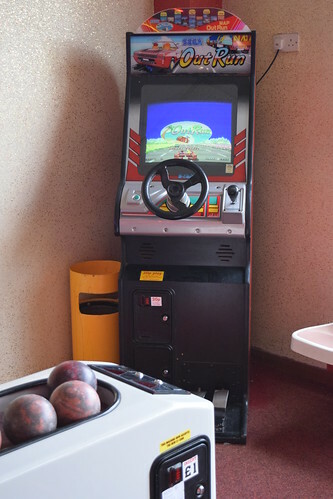 Castaways seem keen on continuing to provide classic gaming with a modern multicade cocktail cab added to the line-up. 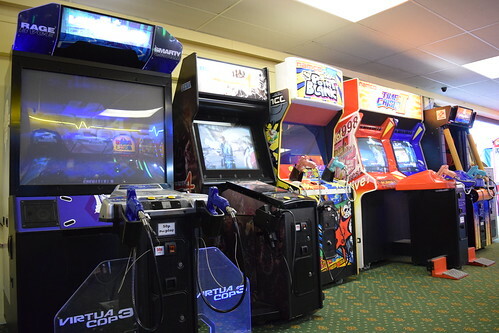 On my last visit most of the machines had faults and I was pleasantly surprised to find that some of these have been rectified. 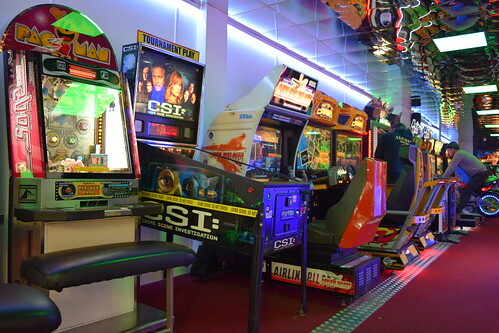 At the back of the arcade they have Crisis Zone, Area 51, Tokyo Wars, Sega Rally 2, Star Wars Trilogy, Soul Surfer and Alpine Surfer. 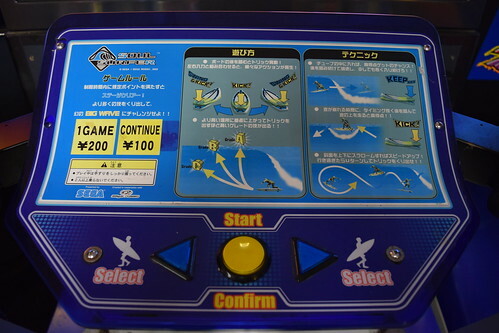 All the games were working, except for Crisis Zone which was switched off. 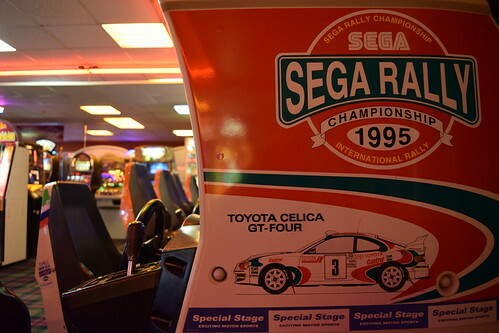 The Sega Rally 2 twin has replaced the original Sega Rally. 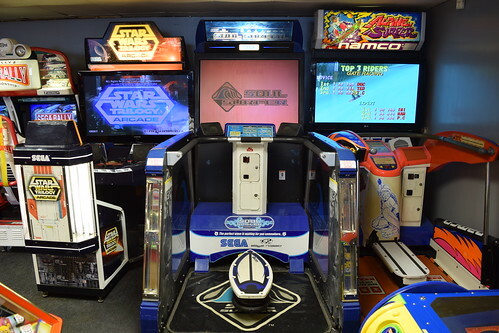 It was great to see both monitors now working on Tokyo Wars and Star Wars Trilogy back up and running, although the controls were a bit off on the latter. 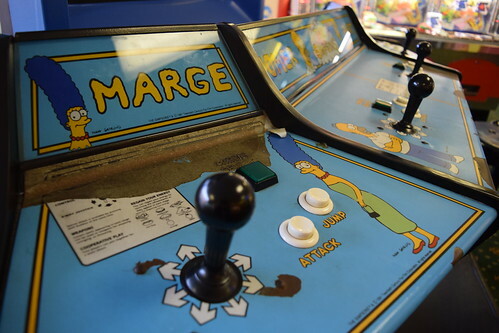 You hardly ever see the later Atari games these games. 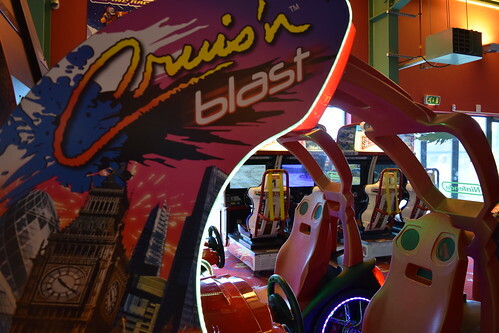 The game was good fun and played well. 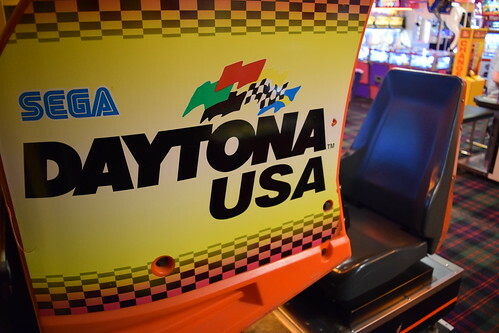 I remember seeing this in all the arcades back in the day. 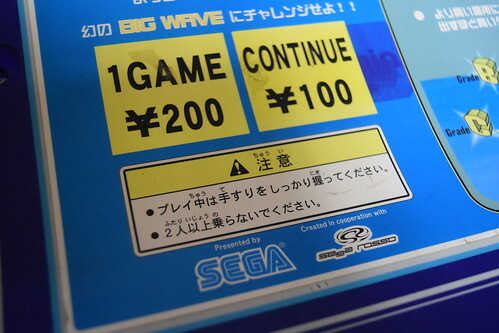 I was never a big fan, preferring to spend my money on Sega’s output, but appreciate it more now. Here is a video of the game. 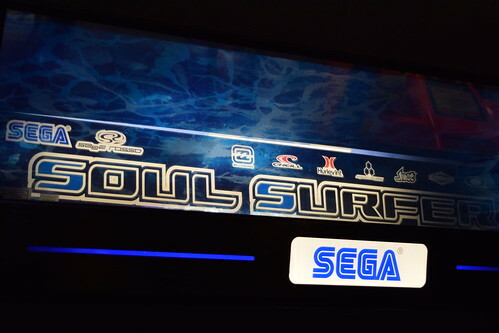 This is the only Soul Surfer machine I’ve ever seen. The colours were pretty washed out (no pun intended!) 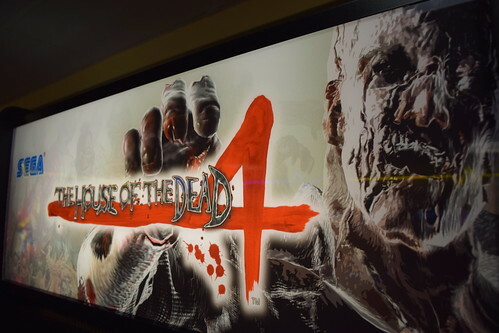 on the rear projection screen, but the game was still playable. 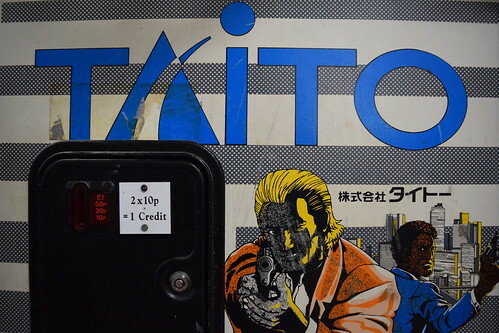 It’s a Japanese import, complete with 100 Yen stickers! 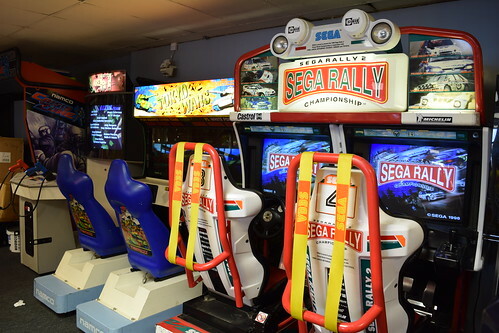 The game runs on Sega Naomi 2 hardware.